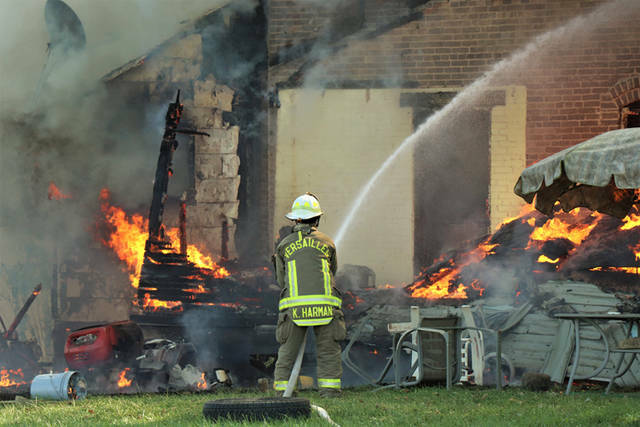 According to authorities on scene, a two-story brick farmhouse was lost to the blaze, and the American Red Cross was called in to assist the family that has been left homeless due the fire. 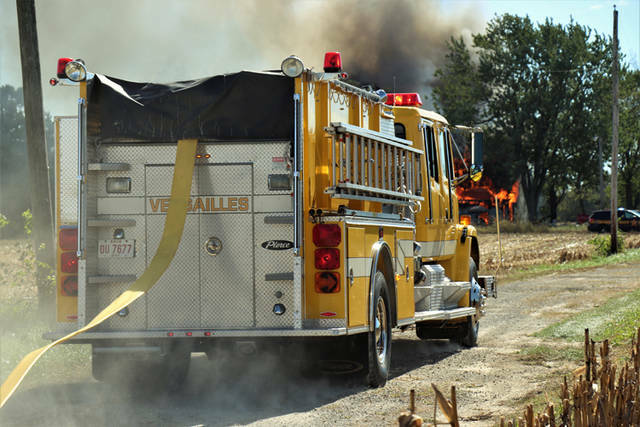 VERSAILLES – Multiple Darke County fire departments responded Wednesday afternoon to a second alarm residential structure fire that left a family homeless. 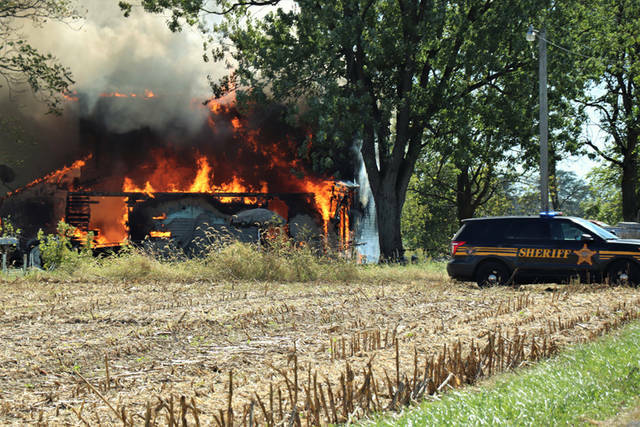 At approximately 1:30 p.m., emergency personnel from Ansonia, Versailles and Greenville Township fire departments as well as Ansonia Rescue along with deputies from the Darke County Sheriff’s Department were dispatched to 6773 State Route 242 in regards to a working structure fire. Upon arrival on the scene a second alarm was requested that included man power and equipment from Greenville City, Union City, Rossburg and Gettysburg fire departments and a second medic from Gettysburg Rescue to assist in the efforts. Officials think, based off of comments from the residents of the property, that the blaze originated in the front of the structure from a wood burning style stove and continued to spread throughout the home. 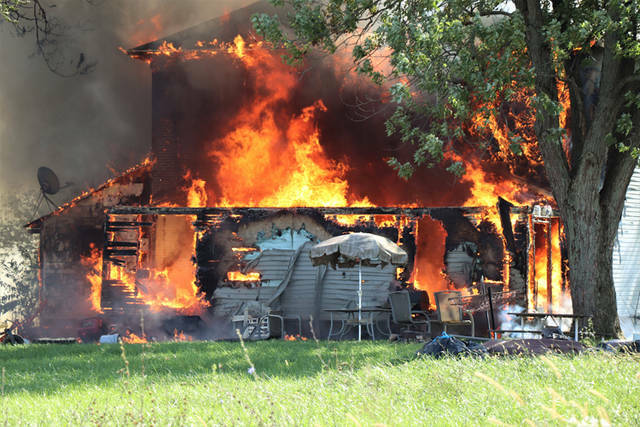 However, the official cause of the fire is still ruled as undetermined until the completion of the investigation. 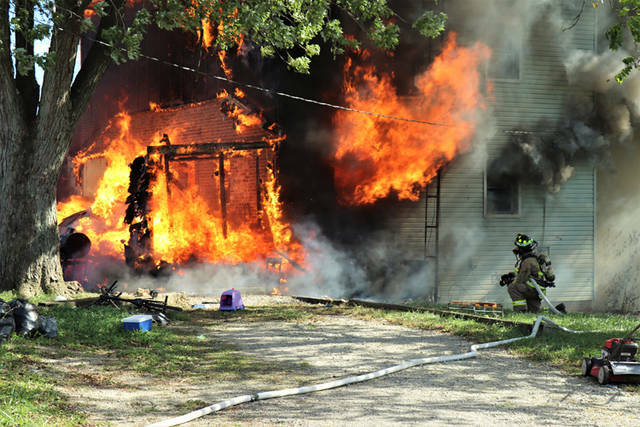 The fire will remain under investigation by the Ansonia Fire Department. This entry was tagged American Red Cross, Ansonia Fire Department, Ansonia Rescue, Darke County Sheriff’s Department, fire, Gettysburg Fire Department, Gettysburg Rescue, Greenville City Fire Department, Greenville Fire Department, Greenville Township Fire Department, Rossburg Fire Department, Union City Fire Department, Versailles, Versailles Fire Department. Bookmark the permalink.